NASA's Kepler spacecraft probably won't bounce back completely from the malfunction that stalled its planet-hunting efforts two months ago, mission officials say. The Kepler space telescope was hobbled in May when the second of its four orientation-maintaining reaction wheels failed, robbing the instrument of its precision pointing ability. Engineers managed to get the balky wheels turning again recently, but both devices are far from healthy, showing much higher levels of friction than they once did. "It's not going to go back to its original mission; it's going to be something less than that," said Kepler deputy project manager Charlie Sobeck of NASA's Ames Research Center in Moffett Field, Calif. "But how much less, and how much usefulness it'll have -- it's really still very much up in the air." Kepler launched in March 2009, kicking off a 3.5-year prime mission to determine how common Earth-like planets are throughout the Milky Way galaxy. The observatory is designed to stare at more than 150,000 stars simultaneously, looking for the telltale brightness dips caused when planets pass in front of, or transit, these stars' faces. Kepler needs three functioning gyroscope-like reaction wheels to perform this precision work. It launched with four -- three for immediate use and one set aside as a spare. But one wheel, known as number two, failed in July 2012. 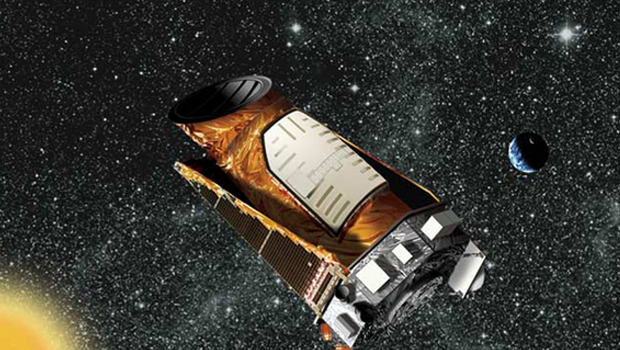 Then another (number four) gave up the ghost on May 11 of this year, halting Kepler's exoplanet search. After the second failure, Kepler team members began devising ways to potentially bring the two wheels back. They performed recovery tests over the last week, commanding wheels four and two to spin on July 18 and July 22, respectively. Wheel four rotated in one direction (counterclockwise), while wheel two spun in both directions, mission officials announced Wednesday (July 24). This was a victory of sorts, but a qualified one. "Both wheels are showing substantially higher friction than a good wheel would show," Sobeck told SPACE.com. Those friction levels probably won't come down, he added, as the recovery team has already tried a number of strategies to this effect. "Just saying that we could go back to science and operate normally, as we have -- it's unlikely to happen," Sobeck said. "The question then becomes, Can you drive a wheel with substantial friction and still do science with it? We really don't know the answer to that question, so that'll be the next test that we run." Sending astronauts out to service Kepler, as was done five separate times with NASA's Hubble Space Telescope, is not an option. Kepler orbits the sun rather than Earth, and it's currently millions of miles from our planet. The $600 million Kepler mission has revolutionized the search for alien planets, spotting 3,277 exoplanet candidates to date. Just 135 have been confirmed so far by follow-up observations, but mission scientists expect that more than 90 percent will end up being the real deal. While Kepler is unlikely to resume the operations that detected so many far-flung worlds, the spacecraft may still be able to gather valuable exoplanet data. For example, Kepler will probably be capable of precision pointing for short periods of time, even in its current condition, Sobeck said. "We've got a lot of planetary candidates that we know when the transits occur," he said. "We might be able to schedule a day or two days of precise pointing during that period and catch the next transit, and improve our knowledge of the planetary systems -- maybe determine the mass of those systems, things like that." "So it's not clear that planet hunting per se is off the table," he added. "It's just a different style of hunting." In two or three weeks, the Kepler team aims to return the observatory to wheel control, Sobeck said. The observatory's handlers will attempt to point Kepler using its reaction wheels, first coarsely and then, if that works, with much more precision. If all goes well, mission team members will then start considering seriously when to return the spacecraft to science operations -- whatever goals those operations end up pursuing. "We still have a great spacecraft, a great instrument," Sobeck said. "The instrument is working. We just have to figure out a way to get it pointed at the targets we want."